With notable Scandinavian and international screen roles under his belt, Rune Temte is ready to take on the world. 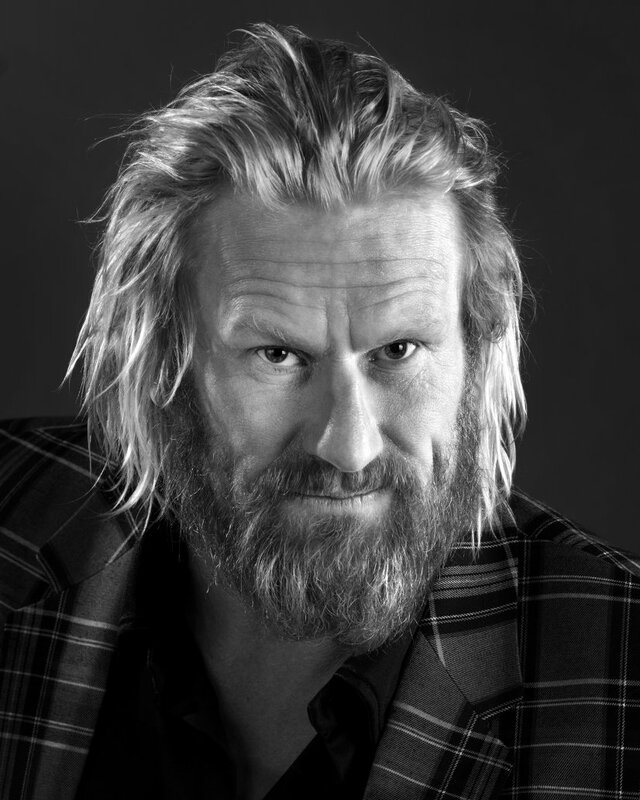 Scan Magazine spoke to the Norwegian actor about his beard, Nordic authenticity, and bringing what he learnt as a professional football player to the world of acting. It is the morning after the UK snap election when Scan Magazine talks to Rune Temte. He talks about “payback time for Theresa May” and is keen to hear what the general feeling is like “over there”. The Norwegian actor himself is just back from LA. “I was stopped ten times a day by people who recognised me as Ubba, others as coach Bjørn from Eddie The Eagle,” he says. “It’s not like I can hide – if they’ve seen me, they’ve seen me.” It is hard to argue with that. His presence is dominant in more ways than one, the blond wisps falling across his high forehead, the ginger beard providing that Viking-like contrast and his gaze deeply kind yet piercing. He is the embodiment of the Nordic stereotype. “If you want a Scandinavian, you’re going to look for someone tall and blond – and I’m obviously tall and blond and very handsome!” Temte chuckles. “I’m not concerned about that, and I’m not concerned about type casting. I can play the bad guy as long as I get to fill the character with life. TV and film are all about type casting; it’s only Daniel Day-Lewis who gets to be a chameleon and change all the time, but then he only does one film every few years so he has the time to prepare!” He laughs again. As part of the cast of the BBC’s The Last Kingdom, where he played the Danish warlord Ubba, one of the main antagonists, Temte got to add a little bit more reality to a trend of fantasy and fiction. “Look at Vikings – sure, we’re gathering evidence, but who really knows what was going on back then? And Game of Thrones, it’s pure fiction. Maybe with The Last Kingdom we’re a bit closer to mixing facts with fiction – that’s one of its strengths,” he says.